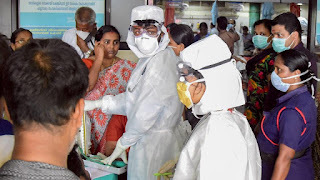 A deadly and contagious virus is suspected to have killed 12 people in Kozhikode in north Kerala, leading to hundreds of people with symptoms of fever into rushing to hospitals in panic, and forcing the central government to send a team of experts to monitor and control the spread of infection. 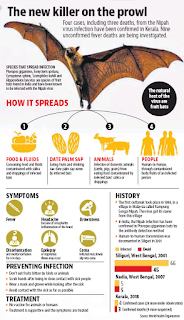 The Pune-based National Institute of Virology on Sunday confirmed three deaths, and a fourth illness from the same family, as caused by the Nipah virus. The surviving member of the family is critical and on ventilator support. 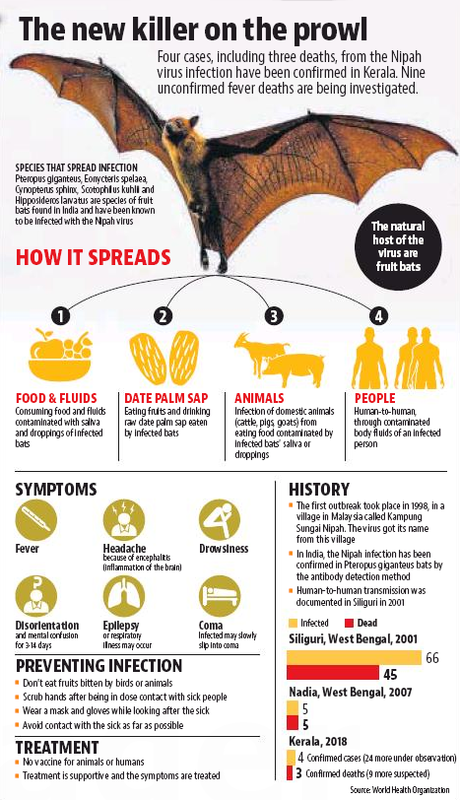 Humans get infected by consuming fruit- or date-palm sap contaminated by infected bats but while human-to-human transmission through body fluids is rare, it was recorded in Siliguri district in West Bengal in 2001 and is being suspected in Kerala. Four deaths were reported on Monday, including of a nurse who treated the three initial infections at the EMS Cooperative Hospital in Perambra . At least six persons are in critical condition and another 20 are under observation, state health officials said. The death of the nurse triggered panic among hospital staff who have had their leaves cancelled to treat the sick. Three more nurses from the EMS Co-operative Hospital in Perambra are under observation at Kozhikode Medical College Hospital after they developed fever and headache, but whether they are suffering from Nipah is yet unconfirmed. All three had looked after the sick from the Moosa family, who have since then been identified as the first human cases of the virus in the state.